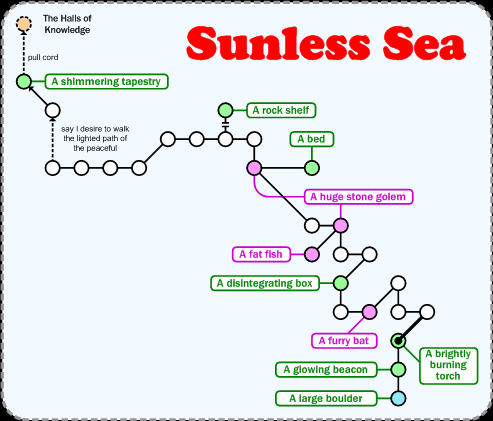 The Sunless Sea is the area new players start in to learn the ropes before they enter the game proper. Players must remain here until an immortal has authorised their choice of player name. A series of simple challenges provide you with basic equipment and help you to learn the game's commands. You can also choose whether to be a peaceful or deadly character.